'Feijoada Com Arroz', a dish consisting of white long-grain rice accompanying a stew of dark beans and different kinds of meat, like Brazilian linguica or carne seca, sliced fruits like orange or pineapple, fried polme bananas, finely chopped cabbage and farofa – toasted yucca or manioc flour –, especially flavoured and poured on top of it) is one of the most popular dishes, or even the national food of Brazil – preferably eaten while listening to Brazilian tropicalist music and accompanied by an Antartica or Kuat Guarana, a Brahma beer, caipirinha, sucos (juices) of tropical fruits or chopinho, it is the perfect excuse for all the great Saturday lunch meetings of families, friends and communities, both inside the country and abroad. ‘Feijao com arroz’ is the social food of Brazil in the sense that every Brazilian identifies its taste with the core of their cultural identity (the mixture of great African influences brought by slaves, colonialist influences and native influences, also expressed in food; or the mosaic of different races and cultures that modern Brazil is), in a symbolic manner: it ‘tastes like home’! Actually Brazilians commonly use one of the Portuguese words for ‘tasty’ (‘gostoso’) to indiscriminately describe either delicious food, pleasant places and activities, good music, nice books, warm sea water temperature on the beach, a sunny day, an Italian icecream, a fine film, attractive or affectionate people, or any pleasant experience – that’s how important taste buds are in our language. Every Brazilian can eat ‘Feijao com arroz’, so at the same time the dish levels off social classes otherwise distinct and separated, it sews the deep social hiatus – it is eaten at least once per week by the poor inhabitants of the shanty towns, both in the North and the South of the country (with distinct traditions), in coastal cities and the interior states, in the popular neighbourhoods of Rio, small houses in the Amazon region or satellite cities of Sao Paulo and in the mansions of Brazilia’s MPs, by syndicates’ leaders, government members and the rich bourgeoisie alike. 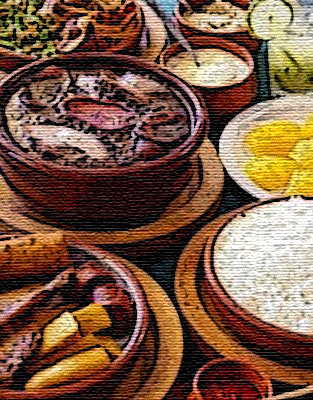 In fact, few things manage to bring Brazilians as close and together as a nation as ‘Feijao com arroz’ and other more refined culinary deliciousnesses – perhaps only music, the love for the national theatre, cinema and tv actors, the language/poetry and football games of the World Cup. But... why should the national food of Brazil become the favourite test field for ‘broad laboratory experiments’ designed by one of the world's most powerful corporations??!!! Quite sadistic idea, no? 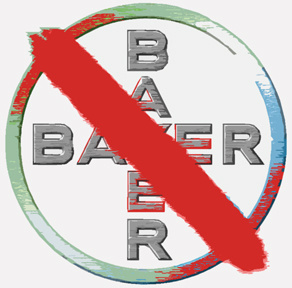 Well Bayer had it, in the name of profit. Nonetheless, this shocking idea caused a wave of indignated reactions as well as solidarity campaigns both in Brazil and abroad. Actually, I can hardly think of a greater offence to Brazil’s national identity and pride than such diabolic thought – not only attacking the national recipe, but also trying to attack the health of millions of common people, as if there was an underlying premise similar to: ‘they are mostly poor and can’t defend themselves – if their health is compromised, who will care?’. First of all, poor is very, very far from being a synonym for stupid (I find it amazing how some cultured beings of the so-called ‘first world’ still can’t distinguish both concepts). Second, Brazilian authorities can defend the health of their own citizens, and Brazil’s society is not asleep. Finally that premise is so incredibly prejudiced and ignorant: Brazilians are immensely proud of their heritage and they would never approve plans similar to those. So they didn’t. And that’s a victory that Greenpeace Brazil can proudly celebrate, together with many thousands of people who didn’t want their daily ‘Feijao com arroz’ spoiled. 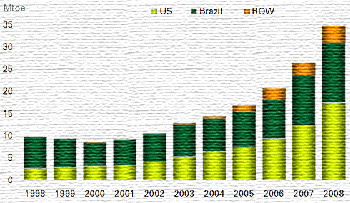 To be treated not only as a laboratory rat, but also as stupid, is not a nice experience for anybody – although it represents a shameful paradigm of the kind of distorted relationships that the Northern Hemisphere has maintained with the Southern Hemisphere for many centuries now – and the Brazilian National Biosafety Technical Commission (CTNBio) seems to know that. After the public hearing of the 17th of March 2009, all indicators reveal that the issue is now closed for them. Greenpeace Brazil attended the public hearing by exposing and denouncing the case, taking with them not only reports by independent biologists and specialists but also the requests of different petitioners and more than 20 thousand cyberactivists who do not want to swallow Bayer’s transgenic rice when they’re simply gathering with friends and family to have a ‘gostoso’ lunch on Saturday afternoons. 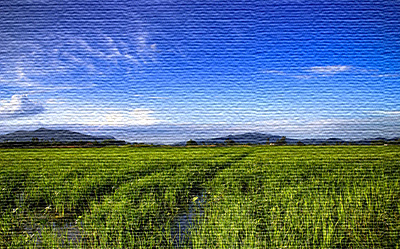 Also other producers and researchers spoke against Bayer's rice in that hearing. - Public and global awareness while purchasing wood furniture and other wooden materials (please, anywhere you are in the world, always make sure that you buy wood products certified by FSC – the Forest Stewardship Council – and let the sellers know that you care about the provenience of the wood; be a responsible consumer). The night before you will be cooking, place the dry beans in a large bowl and cover by several inches of cool water. Let the beans soak overnight. In a pot, cover the smoked ham hock with cool water and also leave to soak. You can change out the water for the ham hock a few times over the soaking period. If using carne seca (dried meat), it can also be soaked in cool water overnight. The next day, drain and rinse the beans, then transfer to a large cooking pot and cover by about 3 inches of fresh water. Add the salt, bring to a boil, then lower to a moderate simmer and cook for 2-2 1/2 hours or until soft. Skim any foam that collects off the surface, and stir the beans occasionally to prevent sticking to the bottom of the pot. In the meantime, prepare the meats by slicing the carne seca into 1-inch pieces, the sweet sausage into ½ inch pieces (when using the Portuguese sausage, prick it with a fork and simmer it for ten minutes in enough water to cover, then cut it) and the ribs into 2-rib sections. In a separate pan, saute the onion and garlic with bay leaves in olive oil until they are translucent. Add two ladles of the beans to the onion and garlic mixture and mash with the back of a spoon. Add this mixture to the simmering beans. The mashed beans will thicken and season the Feijoada. When the beans have about an hour of cooking left to go, add the ham hock and ribbs. Continue to simmer gently for at least another hour, adding water as necessary. About 25-30 minutes later, add all the rest of the meat and sausage, the parsley, clove, cumin, the sweet red peppers in 1,5cm slices, the small red bell pepper chopped (optional), the azeite de dende (don’t forget, just a little bit), garlic and adjust the olive oil. A good feijoada should have a creamy consistency when done, the sauce is black and sprinkled with the vibrant red colour of the peppers, the pieces of meat also become black because they are coloured by the beans. Continue to simmer until the beans are tender and the sauce of the stew is very smooth and slightly thick. Adjust the salt, pepper and olive oil. Remove the bay leaves. Some people take the meats out at this point and serve them separately on a platter, but they taste better if left with the beans, it keeps them warm and smooth. Serve in a large glazed ceramic cooking pot, with a ladle. Don’t forget any of the absolutely essential garnishes, like the white brazilian long-grain rice, the sauteed collards or kale, the orange slices, the farofa and the yam. Serve the feijoada and garnishes in glazed ceramic bowls and platters, it will add a touch of authenticity. To serve feijoada, put a mound of rice on your plate and place a ladleful or two of feijoada stew on top of it. Arrange 1 or 2 orange slices, a good portion of couve (sautéed collards or kale) and 1 slice of breaded deep-fried banana around the sides. Sprinkle the black beans & meat stew and the couve with farofa de dende (manioc flour toasted with dende oil), and add a spoonful of stew sauce to the side. With a fork, mix the white rice with the black beans sauce and the farofa as you eat. It’s delicious! - Slices of 4 or 5 oranges: using a sharp knife, peel the oranges, cut them into thin slices and arrange them on a traditional Brazilian glazed ceramic platter. - Sauteed collards or kale (generous portions), served in a separate glazed ceramic bowl (includes seasoning of olive oil, garlic, salt and optional black pepper, lemon juice and parsley). Heat the olive oil in a large saucepan over medium heat. Add the chopped onion, garlic, the bay leaf, and cook until limp. Do not let them get brown! Add the long-grain rice and sauté until the grains of rice become of a white opaque colour and shiny. Add the water, cover the pan, and cook over low heat until all the water is absorbed and the grains are tender (don’t let them get too soft). Serves 6. This recipe can be made with chopped onions and garlic combined, or with onions alone. For Feijoada some people go with the onions alone, but I think that the garlic always adds something to it. Place the flour in a small bowl, mix the egg with the milk in another bowl, and place the breadcrumbs in third bowl. Peel the bananas, then slice them in 3 pieces each. Roll each banana piece on the flour, then dip it into the milk/egg mixture and let it drip the excess of milk. Roll each banana piece on the breadcrumbs and fry it in hot oil until it is beautifully golden (depending on the size of the frying pan, you can fry 4 or 5 at the same time). After frying, place them on absorbent paper to remove the extra oil. Serve all the fried banana slices on a separate ceramic platter. Poverty = stupidity? Intriguing concept. If the Scandinavian countries harbor that strange concept in general towards the southern countries of Europe, then they know not their own history; for it would mean that during the Roman era they were the stupid ones. They were in fact the ones, Barbarians so called, who came into the South to destroy most of what they did not understand and would have in fact destroyed most of Greco-Roman “southern” civilization had it not been for a superior civilization (Islam) in a southern country called the Iberian peninsula, and the Catholic monks copying manuscripts in Ireland and Italy and elsewhere. Without those mitigating circumstances there might have been no Renaissance in Europe, nothing would have been re-born, and we, the “superior” white races of Europe would still be in the Dark Ages running in the woods. We’d all be poor “northerners,” and of course, using the strange logic of poor = stupid, we’d all be stupid too. Mr. Paparella I wasn't specifically referring to the Scandinavian countries, but actually to all the so-called 'developed' countries, including the US. Also, for the most ignorant, there was never a country called the Iberian peninsula, there were different 'Hispania Kingdoms' and before that there were different caliphates and taifas, like sevilla, badajoz, silves, cordoba, granada or toledo. But yes, the civilization of the Al-Andalus, governed by Muslims, was brilliant in many aspects (including the integration of Islam with Christians and Jews, to such point that Jews could govern local taifas). I don't subscribe manichaean views on the division between north and south of Europe though. You are quite right Ms. ap Iberian peninsula refers to a geographical location in Europe and not a country but I knew that all along. Thanks anyway. I find it intriguing however that after making the point about the nexus or non-nexus between stupidity and poverty you then miss my point and consequently disavow your original point. Knee jerk reaction? More to the point For a Europarlamentarian elect (Mr. Salvini of the Lega party in Italy)to shout at a soccer game: here come the Southerners Neapolitans and even dogs run away from the stench" is to reveal I am afraid not so much a Manichean theological problem in the EU but a political-cultural problem which unfortunately is still there despite your protestations to the contrary; and that is so even on a global level, never mind the EU or the US. More on this in the article "Impressions of Italy and the EU" due out in the near future. Perhaps then we can continue the converstion, on a more rational level. I think some corporations try to perform the same thing here in Ecuador (although I have never made any research on that topic so I cannot name any names but never the less...)This is simply what I see when I am doing my weekly shopping - wonderful local produce (I think a lot of items, such as potatoes, mangoes, avocados, not to mention bananas, pineapples etc. nearly all natural products in short , which are the best in the world)is being pushed aside for the sake of some fast food garbage. For example, I have no idea what is being done to a coffee (you would not find a real coffee in Europe anymore... Well,I was lucky to try genuine Columbian brand here so now I can tell the difference). Just an example: here in Ecuador, they promote an instant coffee, which is totally absurd, and how they (companies like Nestle) fiddle with coffee beans is bejond my comprehension (for one thing, they probably extract all coffein from them... I've noticed it long time ago back in Europe that, no matter how much coffee you drink you feel nothing). Same applies to chocolate etc. It's totally revolting and absurd. of course, he also needs to send enough quantity for it to be profitable, or gather with other small producers to send the products together. To Ms Pereira: Thank you so very much. I'll email this links to my friend immediately.